The message we are getting from Law firm management is that Brexit isn't the real reason for considering opening up in Dublin. That may be right but it has clearly acted as a catalyst which has sprung firms into action. Low taxes, tech giants, a plethora of US Corporates, strong trade with the UK, aircraft leasing, funds, FS etc.. are all cited as draws. And then there is the logic of being in Ireland post Brexit – an English speaking EU member on our doorstep. It is clear there will be movement from London to Dublin, how much is difficult to tell but with a private school opening up to cater for the influx of corporate execs and bankers, this is becoming real. In Ireland some firms are concerned they could lose market share when the International firms come in, so they are looking at playing a defensive card: tying up with an international firm to offer clients international capability and leveraging work from the enhanced platform. The window of opportunity could be relatively small.. 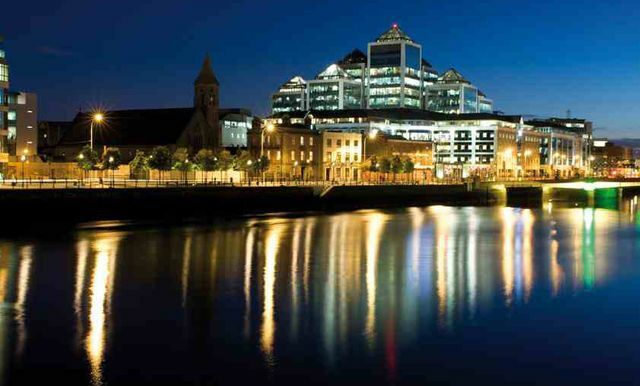 Earlier this month, international schools firm Nord Anglia Education was given the green light to convert a disused Microsoft office block in the Dublin suburbs into an 800-pupil private school, set to open next year. The new school is being developed partly to cater for the families of an expected influx of corporate executives and bankers drawn to Dublin by concerns over the post-Brexit prospects for London’s status as a financial services centre.